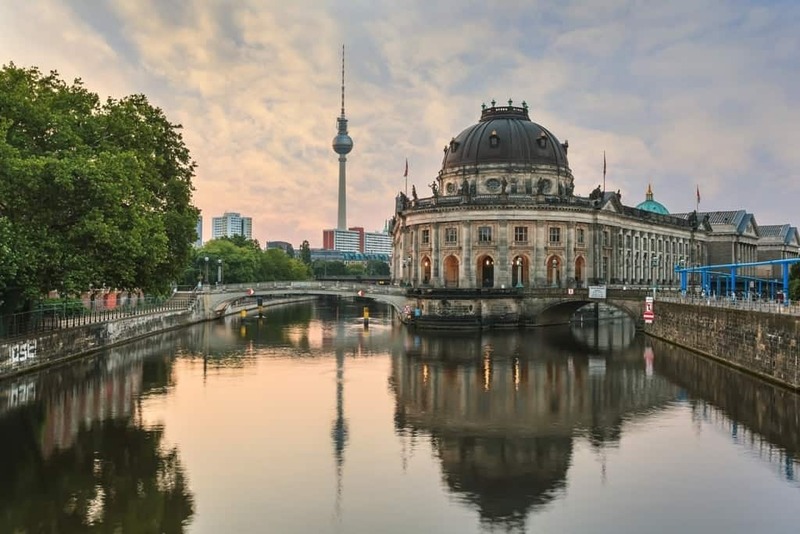 No question about it, Berlin is one of Europe’s most exciting metropolises. This very international city has plenty of architectural highlights, culture galore, and an unrivaled night life. And, of course, Berlin also has a very fascinating history. Whether you’re interested in the Wall that divided the city into East and West for nearly thirty years or the Second World War, you’ll still find many traces and scars from these historic events in modern day Berlin. 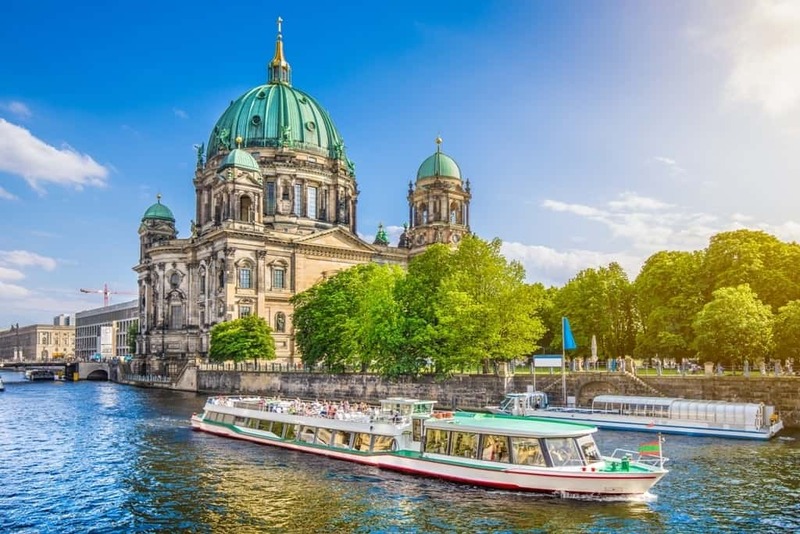 Perhaps surprisingly, Berlin is also an extremely green city, with hundreds of parks, several rivers, many lakes, and even a forest or two, all within the city limits. Four days in Berlin is the perfect length of time to take in what this great city has to offer. 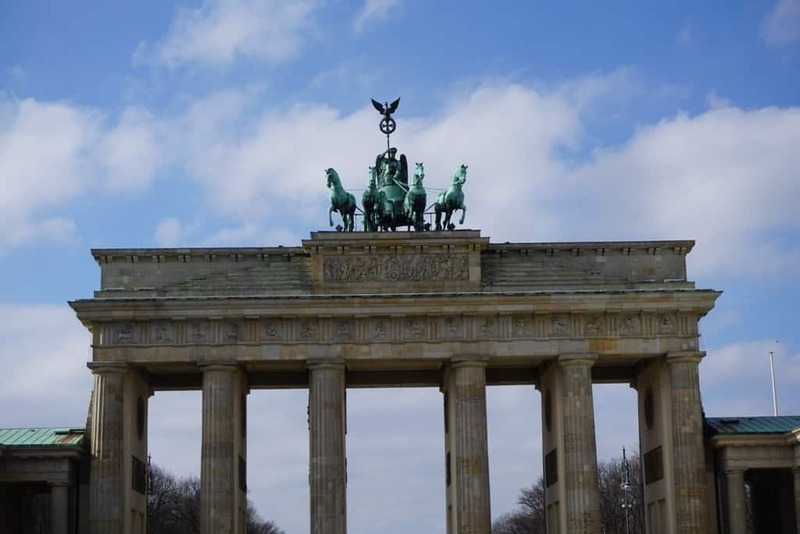 When I was there, I really enjoyed getting to know the history up close and personal as well as taking in the amazing array of arts and culture on offer.Berlin is truly one-of-a-kind, and you’re sure to bring home many fond memories of your stay there. Here’s how to fit all the major attractions into a 4-day visit. Berlin has two airports, Berlin-Tegel (City West) and Berlin-Schönefeld (City East). Tegel Airport is located in the district of Reinickendorf, which is in Berlin’s former west. Since TegelAirport is located in the city, you will have no problem reaching your destination from this airport. Depending on where in the city you’d like to go, you have several transportation options which I’ve summarized below. This bus will take you to the S-Bahn station Beusselstrasse, which is part of the S-Bahn ring that circles the city. It also stops at Alexanderplatz, where you will have access to three U-Bahn lines, the U-2 (red line), the U-5 (brown line), and the U-8 (dark blue line). This bus additionally stops at Hauptbahnhof, Berlin’s main train station. The X9 will take you to S+U Zoologischer, which is the main transportation hub of Berlin City West. From here, you can hop on the U-2 (red line) or the U-9 (orange line) as well as the S-Bahn lines S5, S1, and S7. If you need the U-7 (light blue line) or the S-Bahn ring, get off at the bus stop S+U Jungfernheide, which is a mere ten-minute ride away. The bus 109 follows the same route as the X9, but makes more stops, so the trip takes a little longer. The bus stopsare located directly outside of Terminal A and B. Depending on where in the city you’re headed, the journey will take anywhere from 20 to 30 minutes (City West) or 30 to 40 minutes (City East). Purchase a VBB one-way transportation ticket. If you’re staying anywhere within the city center, you need to purchase an AB zone ticket (2.80€/1.70€ reduced price/children 5 and under free). If you purchase a ticket from the machine at the bus stop, don’t forget to validate your ticketin the validation machine onboard the bus. Once stamped, your ticket will be valid for two hours and can be used for all forms of public transportation in the city. You can also purchase an AB zone ticket directly from the bus driver. However, for this you can only use Euro coins. You will find taxi stands outside all the airport terminals. Rides should cost between 25 to 40 euros, depending on your final destination. 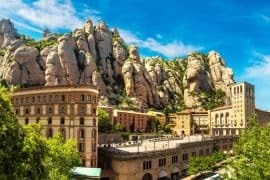 If you are looking for a private transfer Welcome Taxis charge the same amount as a taxi but the driver will be waiting for you at the arrivals hall with a bottle of water and a map of the city. Schönefeld Airport is located in the south east, near the border to the former East German state of Brandenburg. This airport services many discount airlines, such as Norwegian Airlines and Ryan Air. At Schönefeld Airport, there is an S-Bahn station an easy five-minute walk away. Here you’ll find the S-Bahn lines S45 and S9. You also have the option of taking the express bus X7, which will take you to the U-7 station Rudow. This bus stops directly in front of Terminal A. Travel times should take roughly 20 to 30 minutes for destinations in City East and 30 to 40 minutes to City West. Since Schönefeld Airport is located in zone C (city outskirts), make sure you purchase an ABC zone ticket (3.40€/2.50€ reduced/children under five free) to get into central Berlin. The validation process is the same as listed above. As with Tegel Airport, you can also easily find a taxi directly outside of Schönefeld. Rides should cost between 25 to 40 euros, depending on your final destination. Since I stayed in Charlottenburg, which is located in the former West, I decided to check out Berlin’s City West first. Berlin is quite spread out, so if you’re staying in districts like Mitte or Prenzlauer Berg (former East), you may want to swap day one and day two. 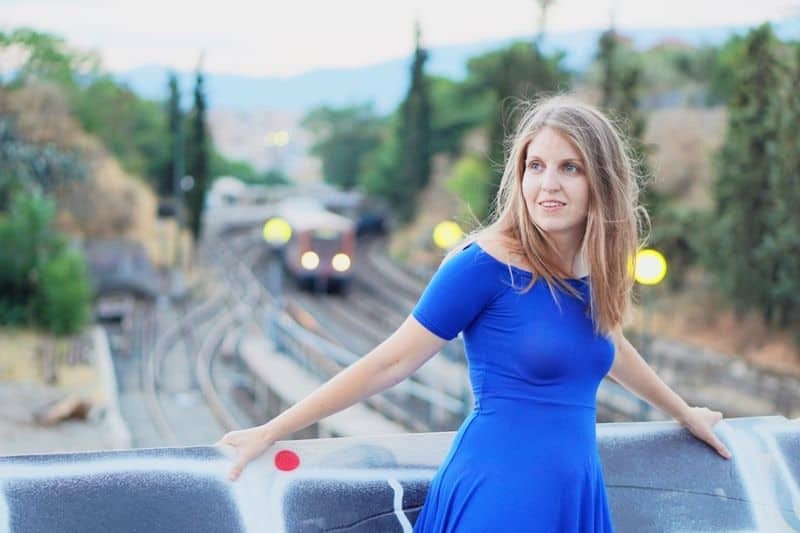 After relaxing and settling in at my hotel, I got ready for a day out on the town. I started off the day at Breitscheidplatz, home to Kaiser Wilhelm Memorial Church. 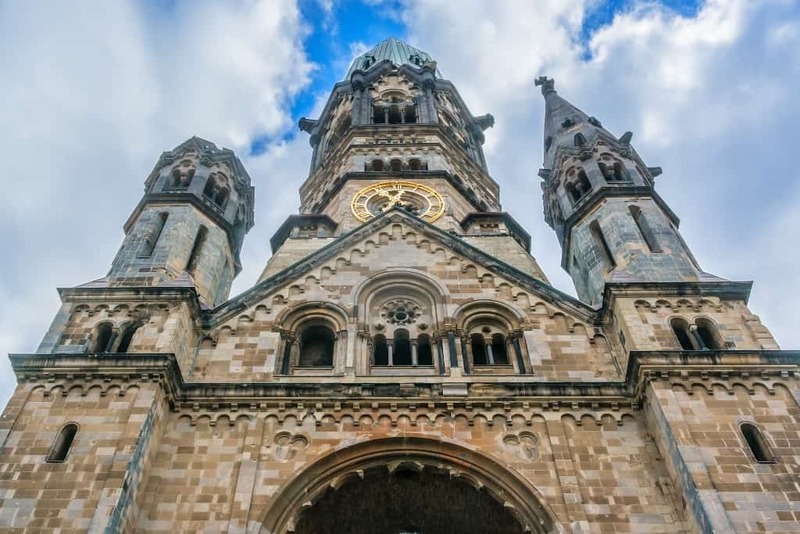 Damaged by air raids over the city during World War II, Berlin decided to leave this church in ruins as a memorial for peace and reconciliation. Opening hours: every day from 9 a.m. to 7 p.m.
From Breitscheidplatz, it was time for a stroll down Kurfürstendamm. Shortened to Ku’damm by locals, Kurfürstendammis the legendary shopping street in West Berlin. This street has been called Berlin’s 5th Avenue, and is home to many luxury boutiques, like Prada, Versace, Chanel, and others. However, the strip also has shops from many mid-priced international and German brands as well. Even if you’re only in the mood to window shop, a walk down Ku’damm is simply a must. 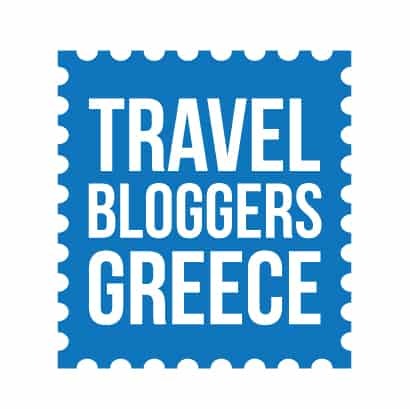 While there, you’ll be sure to enjoythe street’s rows of beautiful plane trees, beautiful architecture, and many restaurants and cafes. In the 80s, Zoologischer Garten was notorious as a gritty scene complete with drugs and plenty of crime. However, the area has since been revitalized, with plenty of new high-rise buildings and Bikini, a concept mall, where both local and international designers sell their wares. If you’re an animal lover or traveling with children, make sure and check out Zoo Berlin. Germany’s oldest zoological garden, Zoo Berlin is also home to the country’s only Panda bears. The city’s aquarium is located next door and is a great option for cold or rainy days. If you’re feeling particularly ambitious, you can also buy a combination day ticket for both. Opening hours: every day from 9 a.m. to 6:30 p.m. 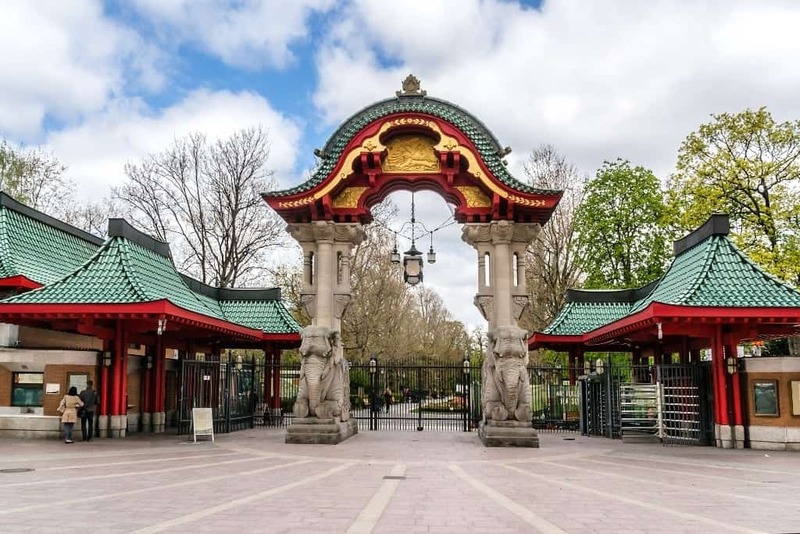 If you exit at the Lion Gate at the zoo, you’ll be directly at the Zoologischer Garten U+S-Bahn station. 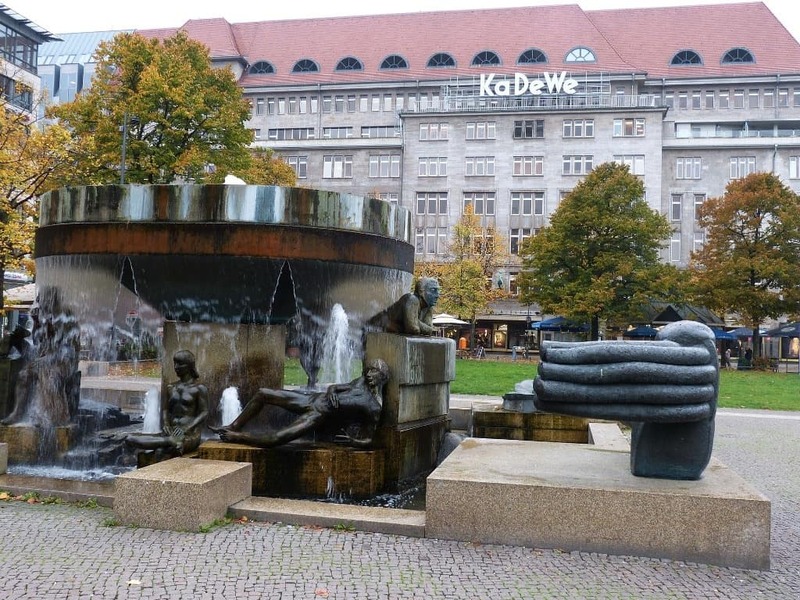 Hop on the U-2 towards Pankow only one stop to Wittenbergplatz, where you’ll find the truly amazing Kaufhaus des Westens (shortened to KaDeWe by locals). KaDeWe is Europe’s largest department store, with a great selection of international as well as German brands. Make sure you don’t miss a trip to the 6th floor, where they sell food and delicacies from around the world. Truly impressive! Opening hours: Mon-Sat, 10 a.m. to 8 p.m.
After all that shopping and checking out exotic animals, I needed to do something a little more lowkey. I got back on the U-2 in the direction of Ruhleben and got off at Sophie-Charlotte-Platz. From here, it’s about a 15-minute walk down the tree lined Schloßstraßeto Charlottenburg Palace (Schloss Charlottenburg in German). 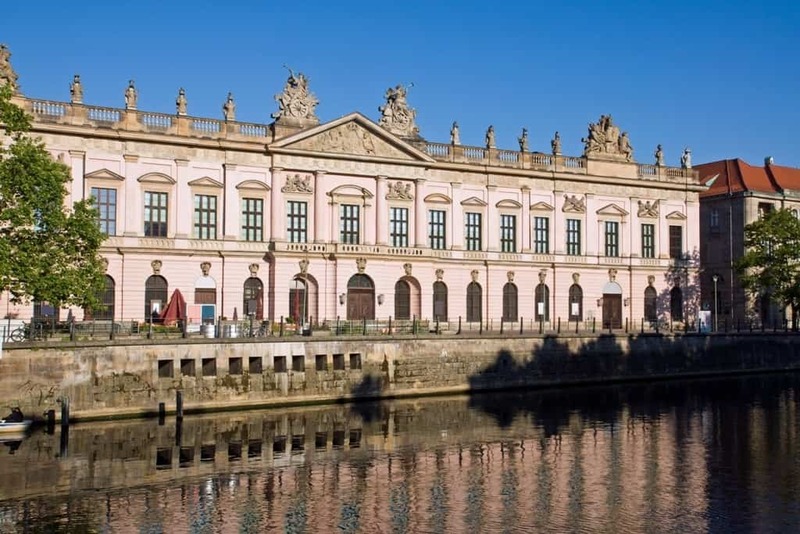 This gorgeous palace hails from the late 17th century and has both rococo and baroque elements in its design. 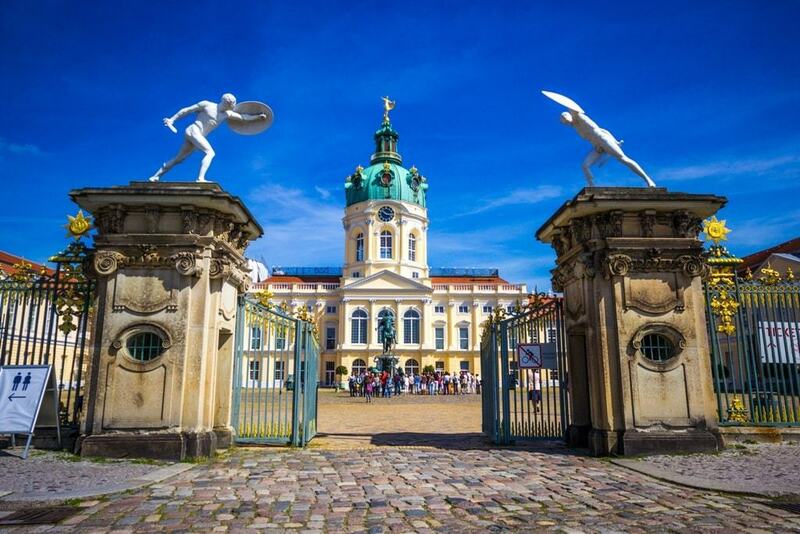 Although a visit inside the palace is certainly interesting, a trip to Charlottenburg Palace is worth it for the beautiful and expansive palace gardens and ground alone. Opening hours: Tues-Sun, 10 a.m. to 4:30 p.m.
Palace gardens and grounds can be explored free of charge from 10 a.m. to 6 p.m.
You might be interested in: The best Christmas Markets in Germany. For my second day, I headed to Unter den Linden, a historic street in former East Berlin with many beautiful buildings and historical sites, like Bebelplatz, where the Nazis did their infamous book burning, and the moving Käthe Kollwitz statue in the Neue Wache building. This museum is simply a must for anyone who is interested in German history. They have 7000 artifacts on display here, from the stone age until modern day. Unfortunately, most of the signs are only in German, but audio guides are available in English. Located in a beautiful old armory building, this museum offers so much to see and experience, you could easily spend hours here! Of course, Brandenburg Gate can’t be missed if you’re in Berlin! Once right at the border of Berlin’s infamous Wall, this famous landmark provides a perfect photo opportunity for any tourist. 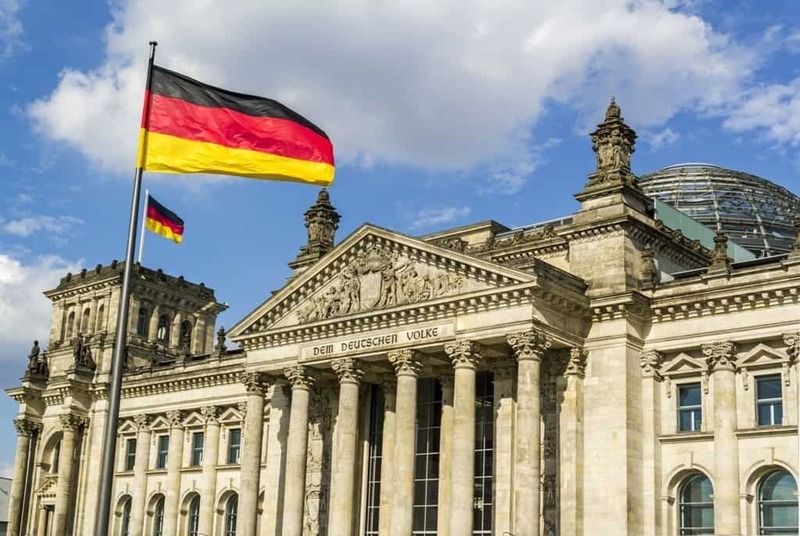 An equally famous Berlin landmark, the Reichstag, is right around the corner from Brandenburg Gate. If you would like to go up to the dome, which I highly recommend, be sure to book it online ahead of time. You may get lucky and take the spot of someone who didn’t show up, but there are no guarantees. Advance registration required. You can register online here. 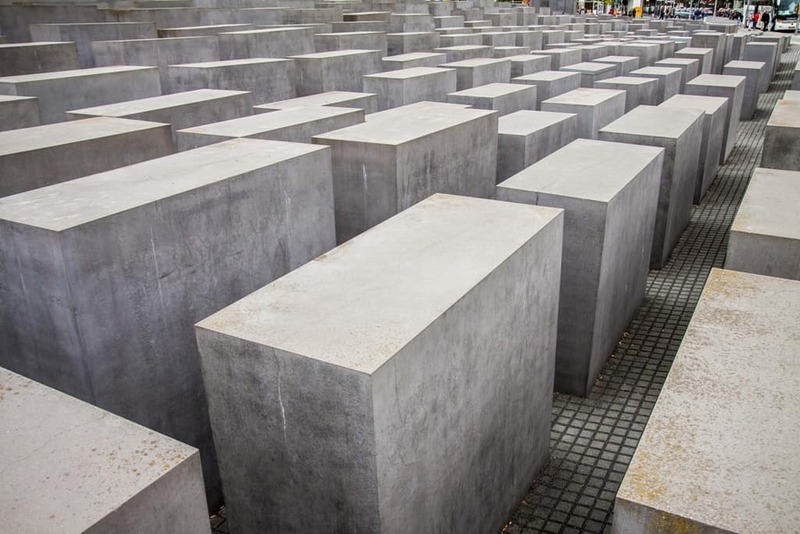 Wandering through the 2711 concrete slabs at the Holocaust Memorial is truly a haunting experience. This work of architectural and sculptural genius gives you the feeling that you’ve lost your way one moment and that the walls are closing in on you the next. Definitely not to be missed. After a day of major sightseeing, I hoped back on the S-Bahn at Friedrichstrasse and headed to HackescherMarkt. Located in stylish Mitte, HackescherMarkt is full of boutiques and restaurants, with plenty of street art along the side of the S-Bahn tracks. 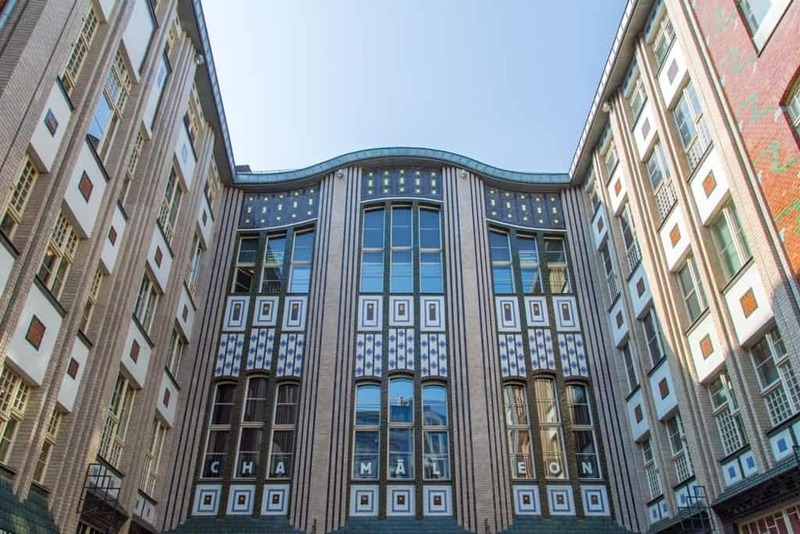 If you walk along Alte Schönehauser Allee, you’ll also godeeper into design-minded Mitte, which is definitely worth exploring. Seeing Berlin by water is simply a must. 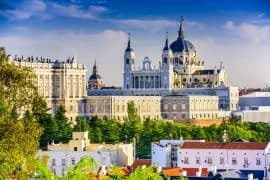 I was surprised to learn this city actually has more bridges than Venice!You can choose from several different tours, which usually range from one to three and a half hours. 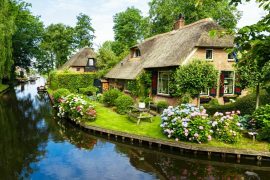 I took the one-hour Historic City Cruise and enjoyed it very much. You can board at the pier at Friedrichstrasse/Weidendamm, which is very close to Museum Island, so you can either start the day on the water or take the tour after visiting the museums. The tour ends at the same place as the point of departure. Museum Island is truly any museum lover’s dream. 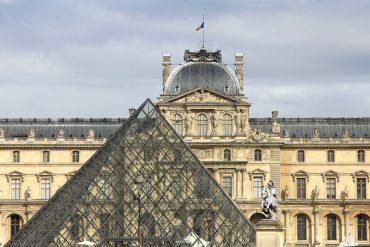 This UNESCO World Heritage Site is home to five world class museums. 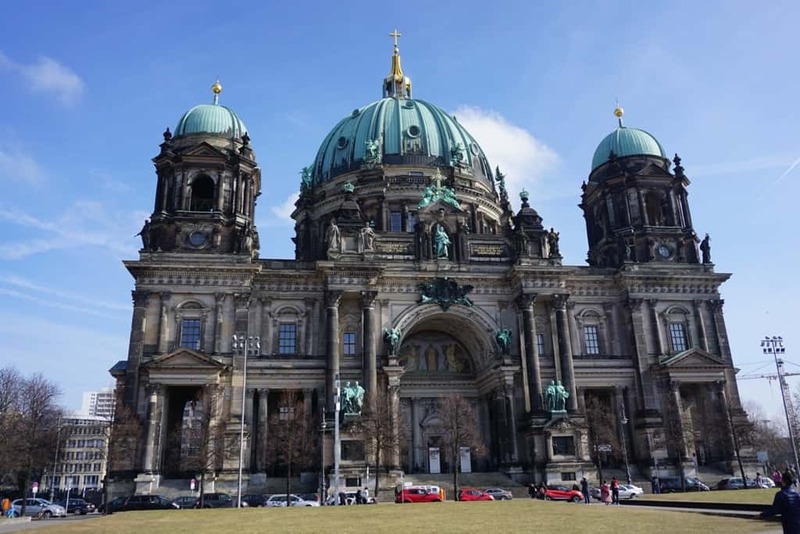 These include the Pergamon Museum, the Bode Museum, Neues Museum (New Museum), Alte Nationalgalerie (Old National Gallery), and Altes Museum (Old Museum). I highly suggest buying a day ticket which will get you access to every museum. That way you can pick and choose and enjoy the rich artistic and cultural history this place has to offer. The former Wall in the East Side Gallery is very popular with tourists, but it’s usually overcrowded and very noisy because it’s located on a street with a lot of traffic. The Berlin Wall Memorial is much more lowkey. 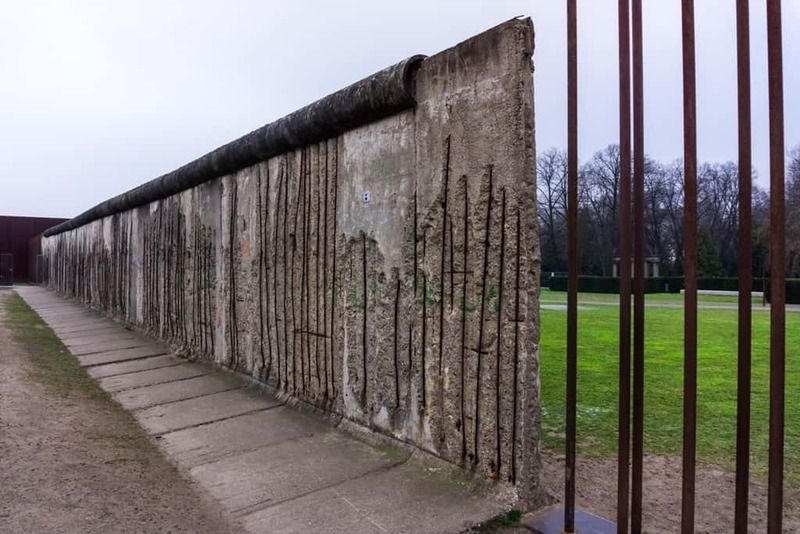 Here you can see a part of the original Wall, enjoy a sculpture garden, and learn about the history through the multi-media exhibits at the Berlin Wall Documentation Center. To finish off the day, I suggest exploring the colorful and trendy neighborhood Prenzlauer Berg. 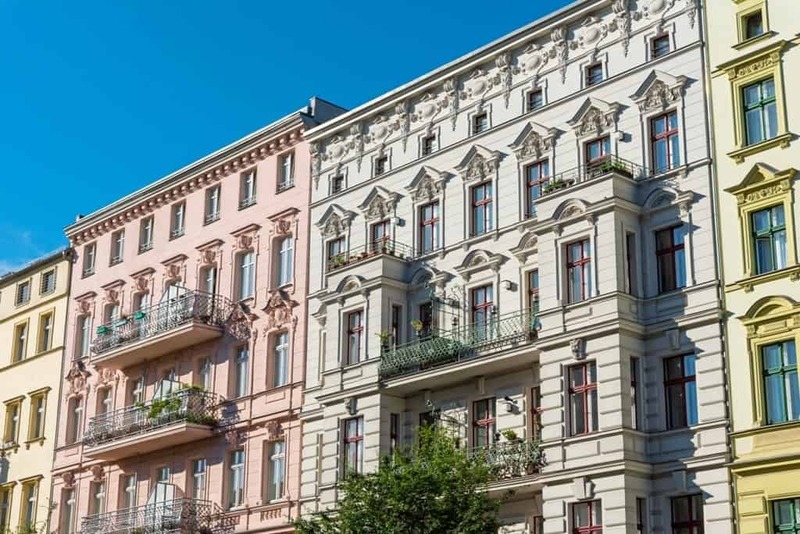 With its beautiful old buildings and wide, cobblestone streets, Prenzlauer Berg is popular with young urban professionals and well-to-do city loving families. Kollwitz Platz (near U-2 station Senefelderplatz) is a popular destination. This square is full of cafes, restaurants, and interesting boutiques. You’ll also find a charming market there on Wednesdays and Saturdays. The Gemälde Galerie is located in the Kulturforum, which was West Berlin’s answer to Museum Island when the city was still divided. Make sure you don’t miss it! The museum is brimming with the works of the old masters, such as Rembrandt, Rubens, and Botticelli, hung in beautiful, light-filled rooms. 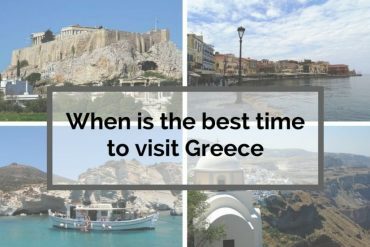 It’s also usually less crowded than the art museums on Museum Island, which can make the experience more relaxing. Potsdamer Platz, home to most of Berlin’s only skyscrapers, is just up the street from the Gemälde Galerie. This place is also historically interesting. A bustling transportation hub before the war, Potsdamer Platz was heavily bombed and later completely flattened. When the Wall was up, the area was part of the “death strip”, a no man’s land where only East German border guards were allowed to go. Today’s business district was designed and built in the mid-90s. 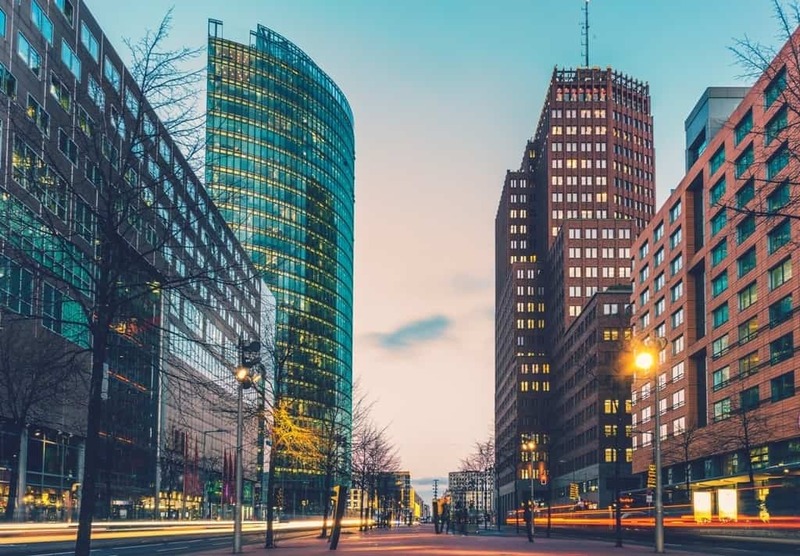 Check out the mall and the fountains and maybe have a drink at one of the touristy restaurants at Sony Center, where you can also watch English original movies at the Cine Star movie theatre. 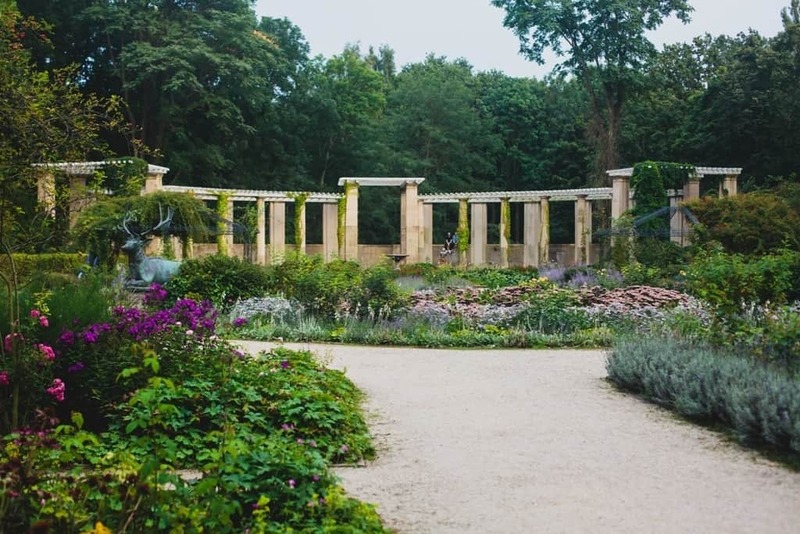 Although Berlin has many great parks, Tiergarten Park is one of the oldest and most impressive. Originally designed as royal hunting grounds, Tiergarten is now a public park with many beautiful tree-lined paths, sun bathing lawns, tranquil pools and fountains, and various sculptures and memorials. Bellevue Palace, the official residence of the President of Germany, is also located in the park, as is Haus der Kulturen der Welt, a multi-cultural arts and exhibition center. This building is an excellent example of original mid-century architecture and is perched right at the banks of the River Spree. 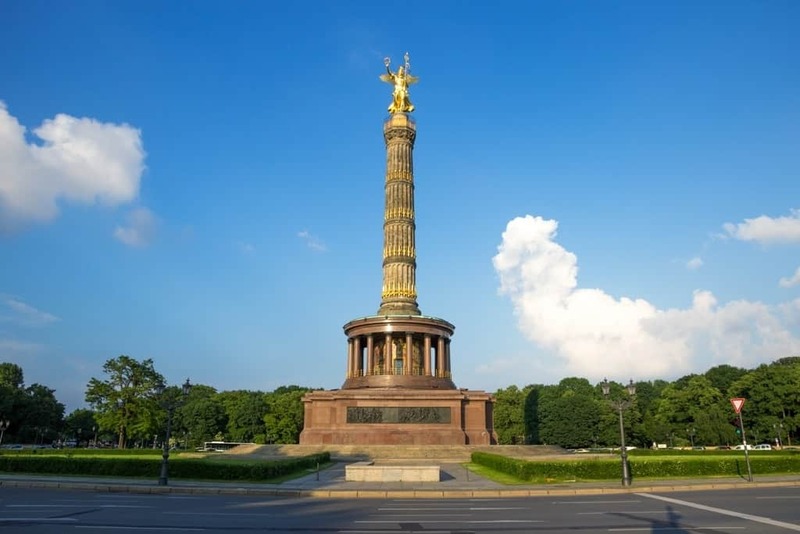 At the heart of Tiergarten, you’ll also find the Siegessäule (the Victory Column). This beautiful column features a gilded bronze statue of Victoria, the goddess of victory, who is perched on the top. With 258 steps, the tower is bit daunting to climb and requires a reasonable level of fitness. 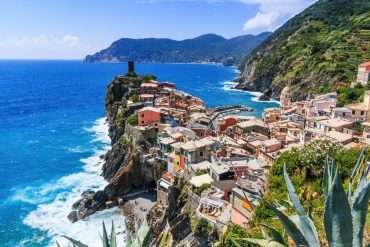 However, the panoramic views you’ll have at the top make the trek well worth it! Arguably the “Prenzlauer Berg of the West”, Bergmannkiez is the neighborhood located around Bergmannstraße in Kreuzberg. Popular with urban families, Bergmannkiez is also home to a large concentration of Green Party voters, as you can see by the large number of organic grocery stores in the area. Bermannstraße is full of many small shops, cafes, and restaurants very popular with tourists. To see where the locals hang out, check out the Markthalle at Marheinike Platz, a market hall with plenty of food stands as well as fresh produce, cheese, and meat for sale. Bergmannstraße is located near the U-7 U-Bahn stations Gneisenaustrasse and Mehringdamm. From Bergmannstraße, take a stroll up Friesenstraße. This cobblestone street will lead you through the charming ChamissoKiez, full of lovely, ornate Altbau-style buildings, and many great restaurants and unique boutiques. Once you’ve reached the end of the street, cross Columbiadamm. 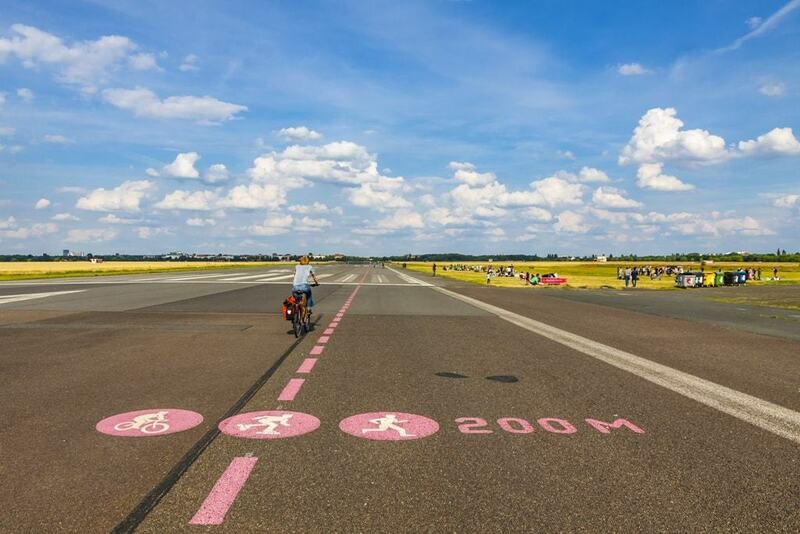 The entrance to Tempelhof Airport is about a five-minute walk to the left. This former air strip is now a large public park. It’s an amazing feeling to wander along a place where airplanes used to land! The expansive open space here gives you a similar feeling to spending a day at the beach. Rent a bike, pack a picnic, or have a snack and a drink at the beer garden in the park. 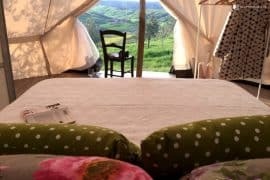 Either way, you are sure to enjoy the unique experience you will have here. This popular Vietnamese restaurant has been an institution in Mitte for many years. The place has a vibrant atmosphere and delicious, inexpensive food. They don’t take reservations, so expect a wait of up to an hour during dinnertime. AltesZollhausserves up gourmet German cuisine in a beautiful German country-style Fachwerk house located directly on the Landwehr canal in Kreuzberg. Reservations recommended. Although Café Einstein now has several locations throughout the city, the original is located inKurfürstenstraße in the district Schöneberg. Housed in a Neo-Renaissance villa, Café Einstein is a chic, Viennese-style café and a West Berliner institution. The apple strudel is to die for, and the schnitzel is also very good. Opening hours: every day from 8 a.m. to 12 p.m.
Don’t let its hole in the wall appearance fool you:Lon Men’s Noodle House serves up amazing Taiwanese-style cuisine! Although everything tastes great here, the dim sum and fried dumplings are especially delicious. The place is very popular, so expect a wait of up to thirty minutes if you come at peak times. Kantstraße is also Berlin’s unofficial China town, and you’ll find many import export shops here as well as great Chinese restaurants, like the well-known institution Good Friends, which is just up the street from Lon Men’s Noodle House. Opening hours: 12 a.m. to 10:30 p.m. This historic wine house was founded in 1811 and serves up seriously scrumptious Austro-German cuisine. Like Café Einstein, this restaurant also has several branches in the city, but this is the original. Make sure you take a stroll across the beautiful square at Gendarmenmarkt, which is full of historic architecture. The Konzerthaus is located here, and street musicians playing classical music often fill up the square with beautiful sound at all hours of the day. 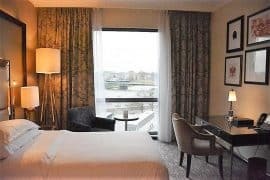 Some of the rooms of this stylish but affordable hotel look out over Berlin Zoologischer Garten, so you can watch monkeys at play while relaxing in bed. Click here for more information and to check the latest rates. This charming hotel is on a quiet side street near the Landwehr canal in Kreuzberg. The rooms are comfortable, with a mix of modern and vintage décor. Great breakfast as well! If five-star luxury hotels are more your style, then check out the Regent Hotel. 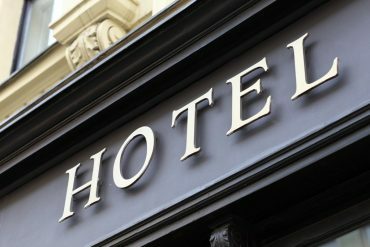 This hotel has elegant furnishing, impeccable service, and a fabulous location directly overlooking the historic Gendarmentmarkt. Located in Prenzlauer Berg, this boutique hotel has plenty of old world charm mixed with modern amenities and truly excellent service.